2) Lower Domestic Interest Rates The RBI has cut rates by 125 basis points in 2015 and both the developers and buyers expect to see the transmission of these lower rates to consumers in 2016. 3) Top Investment Locations According to JLL India, Noida and Greater Noida (NCR), Thane, Navi Mumbai, Bangalore, Kochi and Viman Nagar and Nagar Road in Pune are among top investment options in 2016. 4) Top Performing Property Segment According to online reports, the commercial office sector, which was a saving grace during the slowdown, is expected to further shine in 2016. Vacancy levels have fallen and large firms, many in the e-commerce space, are keen on taking up new office space at a brisk pace. Buyouts of ready commercial space are on, and private equity funds are now even looking at investing in under-construction properties. 5) Increased Investor Confidence The probable implementation of the new avatar of the Real Estate (Regulation and Development) Bill, and smart cities plan, and the introduction of real estate investment trusts (REITs) are together expected create a positive ripple effect in 2016 and boost transparency and investor confidence in the market. For those looking to invest in property in Bangalore and homes in Chennai in the year 2016, the Ozone Group offers buyers world class projects that combine aesthetics, design functionality and prime localities to create homes for a gracious and abundant lifestyle. 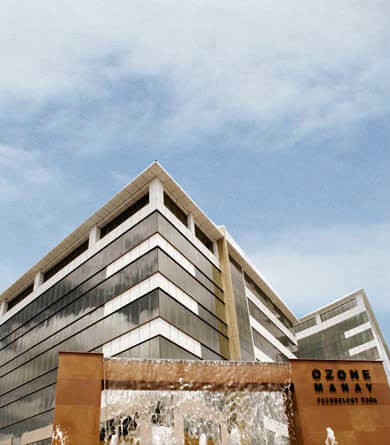 To know more about our ongoing projects in Bangalore and Chennai, do visit us on www.ozonegroup.com or call +91 80 4039 5600 to schedule a property visit.